Would you wait six months to ask your auto mechanic about that check engine light? Probably not. The same applies to red flags parents may see regarding their child’s overall health or development. Parents can ask about any concerns they may have regarding their child’s health when they take him or her to a “well child visit,” says Judy Yang, D.O., a pediatrician at the NorthBay Center for Primary Care in Vacaville. Waiting to make these important appointments could postpone a diagnosis of illness or an opportunity to address a developmental delay. “Unfortunately, sometimes a child will miss months to years of surveillance because the parents didn’t understand the importance of regular well child exams,” she adds. “And when they return to my care, issues such as developmental delays, dietary problems and behavioral issues have already appeared. What occurs during Dr. Yang’s well child visits? “Basically, we run the whole spectrum. I look at the entire body, from head to toe. 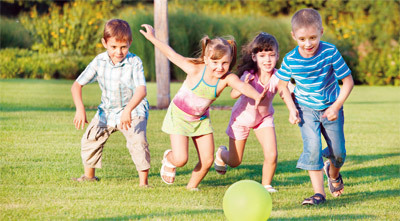 We cover nutrition, dental care, safety at home and school, behavioral concerns—for all age groups. I explain what parents can expect in terms of growth and development. There are many developmental milestones tracked, especially during the first few years of a child’s life, and interventions could be instituted more effectively if problems are discovered early enough. For teenagers, we also discuss high-risk behaviors, not only for the teen, but within the family and at school,” Dr. Yang says. Well child visits typically last longer than other appointments, because pediatricians and family physicians want to have adequate time to answer parent’s questions and address concerns. And, Dr. Yang encourages parents to bring a list of those questions to the appointment. “That’s even better. Then we won’t forget to discuss anything.” If there turns out to be an additional concern, another appointment may be scheduled so there is sufficient time to explore it. 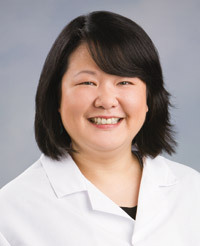 During the sports physical, Dr. Yang will ask about previous injuries, such as concussions or fractures, and will inquire about a family or personal history of cardiac events or asthma. She also thoroughly examines her young athlete’s musculoskeletal and neurological systems for potential impairments that may impact their performance. To make an appointment with Dr. Yang, call the NorthBay Center for Primary Care in Vacaville at (707) 624-8500.